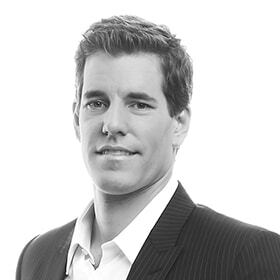 Cameron Winklevoss: "The "institutionalization" of bitcoin trading is most definitely happening as we speak." It has long been argued that bitcoin’s wobbly price would stabilize if the market evolves from one dominated by wild day traders to also include mainstream investors, banks and hedge funds. The question is if such a theory holds for an asset of unknown fundamental value and whose Bitcoin network faces many future unknowns. The advent of regulated bitcoin exchanges last year may shed some light on this. Two New York-based bitcoin exchanges- itBit and Gemini– became regulated as financial institutions by the New York Department of Financial Services (NYDFS), which granted them trust charters. As such, they have permission to operate in all 50 states as fully regulated financial services entities. They are therefore absolved of the NYDFS BitLicense regulations enacted last year. Such venues offer prospective bitcoin investors peace of mind with regard to the safety of their holdings, thereby attracting mainstream investors that had been waiting on the sidelines until now. Indeed, 2015 was by far bitcoin’s most stable year to date. Though there were turbulent stretches, bitcoin was frequently less volatile than several conventional commodities, and particularly the stocks and currencies exposed to them. Gemini, which launched in October, has gradually gained traction. It now ranks 12th globally in reported USD-based bitcoin trading volumes, according to 30-day data on bitcoinity.org. Speaking to Finance Magnates, Gemini Co-Founder and President Cameron Winklevoss confirmed that mainstream investors are indeed entering the fold. “Every day we are onboarding more and more traditional financial institutions who are only willing and able to work with regulated bitcoin exchanges,” he said. When preparing for launch last year, the startup recruited top security and compliance talent. In going well beyond the call of duty prescribed by the BitLicense regulations, investors expect the same level of confidence as when making a bank deposit. “As a trust company, we are a fiduciary that must meet the highest levels of banking compliance, regulatory and capitalization requirements and we have an obligation to protect the interests of our customers first and foremost,” he explained. Two-and-a-half years ago, Cameron and Tyler Winklevoss also applied to launch what would be the first publicly traded vehicle offering exposure to bitcoin prices on a major North American equities market. Their bid, which envisages an exchange traded fund (ETF) traded under the symbol COIN on the Nasdaq, is pending approval from the US Securities and Exchange Commission (SEC). If I could only rollover my 401k into btc. Now the best I can do is first pay tax then invest. Cameron Winklevoss forgets that the Gemini exchange volume is public: “The institutionalization of bitcoin trading is most definitely happening as we speak.” Reality: highest volume on Gemini was on November 2nd, meaning the exchange has not grown since its inception. 500 coins traded today.